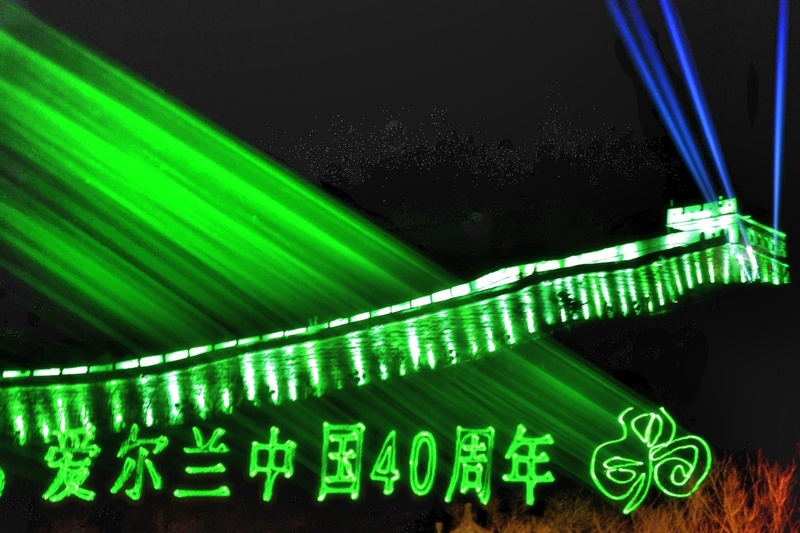 China's winding Great Wall, for the sixth time, has turned green to celebrate St Patrick's Day in Beijing on March 17. Zhang Xingjian reports. In addition to Beijing's Badaling Great Wall, a number of Chinese national icons have joined the global greening once again this year, including Canton Tower in Guangzhou, the Qujing 218 in Yunnan and the Culture and Arts Centre in Suzhou. Meanwhile, it marks the first time to witness some "green greetings" in Hong Kong, including the Clock Tower and Cathay Pacific's DC-3 plane, otherwise known as "Niki", which went green to symbolize the number of direct air links now between the two countries.